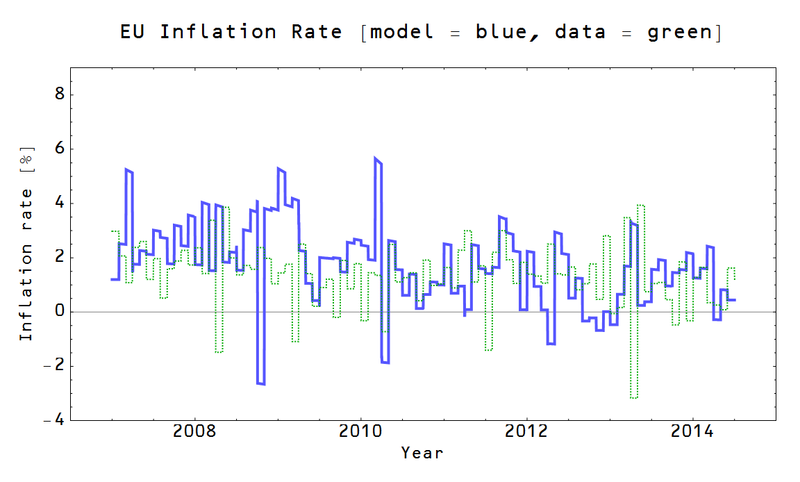 Information Transfer Economics: Will I be labeled an ECB apologist, too? Over the years Krugman and I have both bashed the ECB for their almost unbelievable incompetence. The ECB that has repeatedly raised interest rates in the midst of the biggest recession since the 1930s. It appears ECB policy was less competent than the US in the initial fall after the 2008 financial crisis. In the US, the fall in NGDP is accompanied by an increase in currency, causing the path to fall downwards, but to the right. 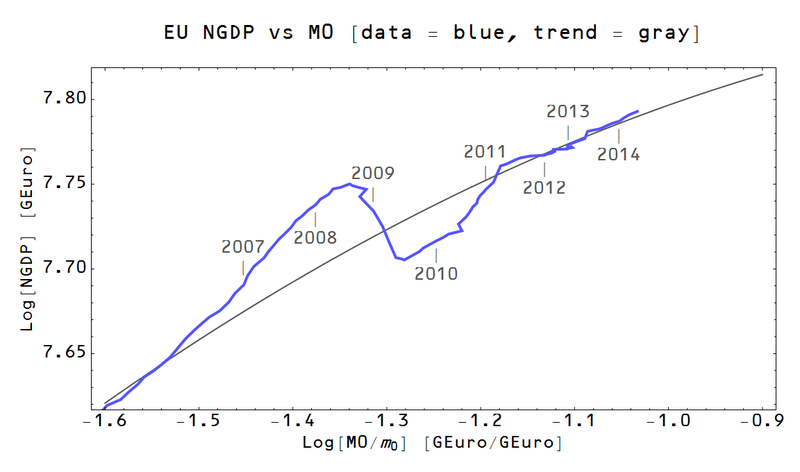 ECB policy may have lead to the path (blue) overshooting the trend (gray). This overshoot may have lead to the rapid rise in NGDP after 2010 (a "rebound") that likely contributed to the ECB's decision to raise interest rates in 2011. Did the decision to raise rates in 2011 head off an over-correction in the opposite direction? That hypothesis is, of course, premised on interest rate policy having any traction at all. That brings us to the question: did policy have any impact at all? Maybe the EU just returned to the trend on its own and stopped when it got there. Regardless of the effect of monetary policy in 2011, it appears in the graph above that the EU is back on trend, albeit a stagnating trend. I'm still expecting sub-2% inflation for the foreseeable future.